Amazon’s Kindle has become somewhat of an industry leader for digital books or e-book consumption. With millions of digital books selling through the single platform reader as well as garnering a general mainstream acceptance, there is a growing concern over the misuse or misrepresentation of certain books being purchased by consumers. 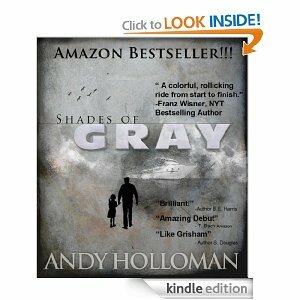 Recently popular books such as “50 Shades of Grey” written by EL James are now being mistaken and bought in place of books with titles such as “35 Shades of Grey.” As the lines become blurred between the real and knock off editions of many popular books, how do devices like the Kindle, networked and managed by Amazon create an environment for the authorship of such spam books? Widely referred to as “tethered devices” Kindles are essentially extensions of Amazon’s vast collection of available books for purchase in physical form. The company has successfully put its endless retail closet of books in the hands of the consumer conforming a lifestyle predicated on purchasing and using books solely through its own doors. Whether these books are the real deal or simply self-published copy cats, Amazon reaps the benefits of all books sold through its site. What is more notable however is that many of these knock-off editions are being published by a company called CreateSpace, a division of Amazon. 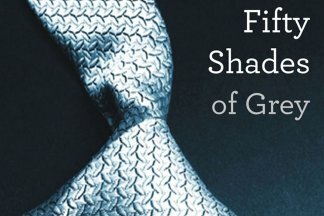 Essentially taking advantage of the widespread misuse of searchable items on digital readers, consumers are now faced with the possibility of accidentally purchasing “I am the Girl with the Dragon Tattoo” as opposed to the critically acclaimed novel “Girl with the Dragon Tattoo” by Stieg Larsson. These minor details negated by Amazon and CreateSpace are quickly nourishing a growing number of fake sales. As Kindles are managed and often updated remotely from Amazon’s centralized network, the ramifications for consumers is that at times, they often have no control over their purchased content and may be confronted with a variation of the book they desired to read, only to find its content deleted because of copyright infringement. What one can assume from the ease at which users are able to self-publish books through sites like CreateSpace as well as sell them through Amazon shows a fully flawed system of digital publishing. Within this deeply connected network as well as the interplay between Amazon and Createspace, what initial hopes and ambitions of self-publishing were lost to the frays of profit minded publishing models? Amazon has raised the banner of the Kindle as the device that will enhance and redefine the ways in which users interact with written content but what seems to be more the case is that precisely because of its tightly knit networked system consumers are having an even tougher time finding the books they want to read. Businessweek magazine referred to the Kindle as a sort of “21st century utility” as much as Facebook or Twitter provide some form of social function. As Amazon would much like to adhere to this definition, its practices in reselling books created through its digital self-publishing company CreateSpace, Amazon has unleashed an unforeseen saga of self-publishers looking to exploit the confusion of customers and sell them 35 shades of gray. « Apple’s textbooks – too cool for school?